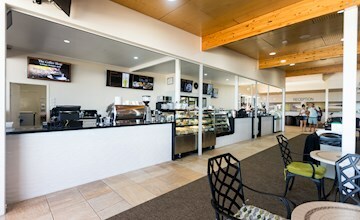 Tangalooma Island Resort offers a selection of dining experiences tailored to a laid-back and casual getaway for all guests. 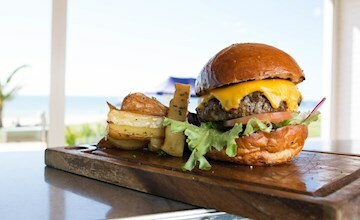 With both local and internationally inspired flavours on offer, Tangalooma Island Resort provides memorable dining and takeaway experiences for all resort guests. 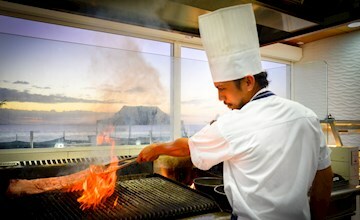 Enjoy hot buffet breakfast in the morning, casual beach style takeaway for lunch and exotic sunset dining in the evening. Want to relax for the evening? Shoot a round of billiards on the resort pool tables all while enjoying live music, and a refreshing beverage from the new constructed resort bar. With a large selection of family meals, there's something to tempt everyone from oven-hot, made-to-order pizzas, burgers, salads, and light meals. Enjoy contemporary bistro style lunch and dinner meals while you relax and soak up the beautiful views over Moreton Bay with this beachside location. Cool off with a cold ice cream or spoil yourself with one of our freshly made cheesecakes, gateaux, slices and biscuits: the perfect accompaniment to any hot coffee. 'Fire' offers guests the opportunity to indulge in traditional spicy Sichuan Chinese Cuisine with dishes designed to be shared, making this a perfect spot for family and group bookings. 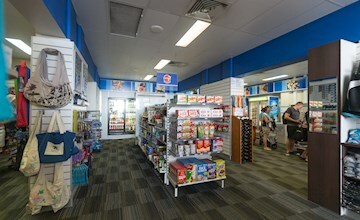 Our convenience store, the Lucky 7, is always stocked with a variety of grocery items, takeaway drinks and snacks, resort wear, souvenirs, newspapers and magazines and pharmaceuticals. Offering a la Carte dining with Modern Australian cuisine, Stone menu is offered exclusively in the southern wing of the beach-facing Fire & Stone dining hub. 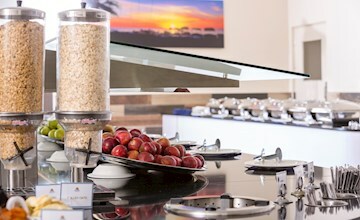 Start your day with a hot buffet breakfast, along with continental options and plenty coffee and refreshing juice to get your day started. 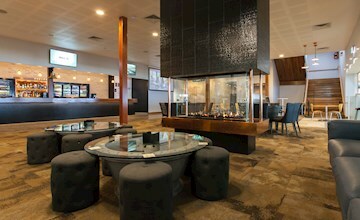 Offering a selection of popular beer, Australian wine and refreshing cocktails, it's the perfect place to relax at the end of the day. Tanglooma Island Resort and its grounds are a licensed premises, and we encourage all guests to drink any alcohol in the designated Bar & restaurant areas. 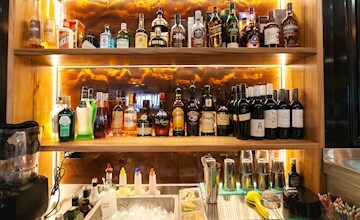 We do also offer limited takeaway alcohol for in-room consumption.